The Salem State University Assistance Corporation, the Enterprise Center, was created by a special act of legislation in 1994. 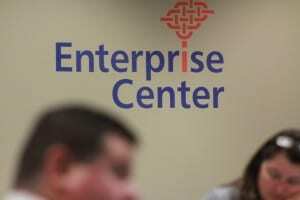 Early in its life, the Enterprise Center made a critical decision to open all of its programs to any business in the region (or beyond) interested in participating. Since then, we’ve built a reputation and a following well beyond the North Shore. Our programs are focused on helping businesses of all sizes succeed.